Description: Cute, cuddly, and color custom! 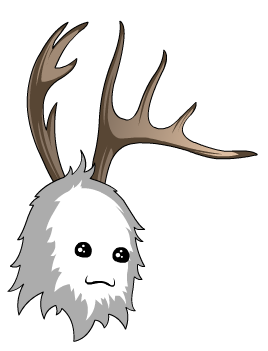 This strange and fluffy helm makes you look like a reindeer… or something. Note: Was available during Frostval 2011 and 2012. Note: Fur is Color Custom to Hair Color.